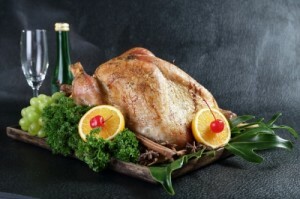 Travel Tips for Thanksgiving Holiday in Arizona | Phoenix Personal Injury Law Blog - Breyer Law Offices, P.C. Getting around during Thanksgiving weekend has become a tactical game for Arizona travelers, and if you’re traversing the city streets and freeways throughout the state then you know this is a frustrating reality that you just can’t bypass, no matter how hard you try. But avoiding the stress, frustration, missed dinner plans and other ailments associated with Thanksgiving madness doesn’t require tactical gear, just the willingness to follow a few simple tips. Avoid I-17 if you are able to do so. According to the Arizona Department of Transportation (ADOT), I-17 becomes one of the busiest highways in the state during the holidays, and when you’re traveling for Thanksgiving, this can be a serious pain. Plan an extra hour of driving time into your schedule. Planning more time into your schedule may seem literally impossible with everything you have to do. But if want to get where you need to go on time, you’ll need to plan to sit in traffic for a while. This is especially important if you can’t avoid the highways and freeways to get to your destination. Get plenty of sleep each night. Thanksgiving is one time of year where individuals frequently forget to get the sleep they need. There’s shopping to be done—and this year, it’s every day during the weekend—and food to prepare, and guests to catch up with. Make some time for shuteye. Leave room for the unplanned detour or problem. Now that sales happen every day during the Thanksgiving weekend, you’ll find you can’t avoid going out during peak sales and traffic times. This makes it incredibly important to plan ahead and plan loosely. Never make plans that require you to be to an event at a specific time unless you can leave your home an hour early. Thanksgiving weekend is never what we expect it to be, especially if leaving the house is a requirement of enjoying the holiday and all it has to offer. If you remember to plan ahead and be not only ready, but okay, with however it goes, you will have a much more festive weekend!